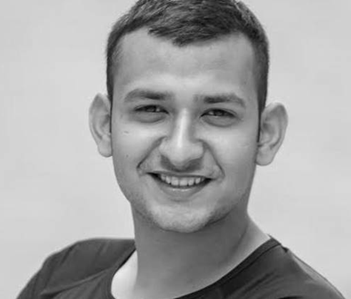 Roopam Sharma, B.Tech CSE- Listed in Forbes 30 Under 30; Indian Scientist’s Brilliant Innovation ‘Manovue’ World Health Summit Start-up Award 2018 (Berlin), India’s top innovators under 35, winner of the Microsoft Imagine Cup 2015 and Yahoo Accenture Innovation Jockeys season 4, National Youth Award by Ministry of Youth Affairs and Sports. 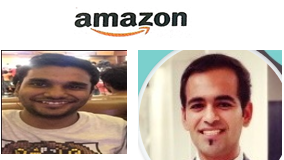 Roopam Sharma, B.Tech CSE & Neeraj Saini, B.Tech ECE, MIT’s Global Start-ups workshop (MIT GSW) Business Plan Competition,, Representing India in the global finals, 10 teams from across the globe have been chosen to compete for the global prize of $10,000 during the finals. Yashraj &Yuvraj Bhardwaj, B.Tech CSE – 36 Research Projects and 15 patent applications filed ( First research work published in class 8th: water purification using Bajra),recipients of Karmaveer Chakra Award 2016, Top 10 young entrepreneurs 2016 by success magazine, Proud nominee of Padma Shri 2018. Akanksha Ahuja,B.Tech CSE- Internship at CERN and had the opportunity to be a part of the publication ‘Acceleration of electrons in the plasma wakefield of a proton bunch’ in the world’s one of the most recognizable and one of the most recognisable and cited scientific journals in the world, Nature. 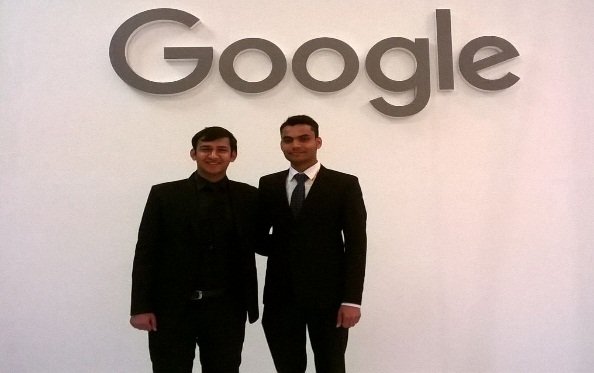 Prashant Gupta, B.Tech CSE – Placed With Amazon, USA, Represented the country at Microsoft Imagine Cup International finals, Winner of People’s Choice Award Dell Social Innovation Challenge. Himanshu Sehgal, B.Tech CSE – Chief Foodie at My Yellow Plate, Brand Ambassador of The Western Union, Awarded by The Lalit Hotels &SoDelhi at SoDelhi Confluence 2016. 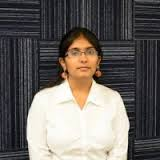 Akshita Sachdeva, B.Tech CSE- Pursuing MS from Northwestern University Boston, Honored with the Geek Goddess by TechGIG in March 2017, Winner of Microsoft Imagine Cup National finals 2015, and represented Country at the International finals at Seattle,Winner of Yahoo Accenture Innovation Jockeys. 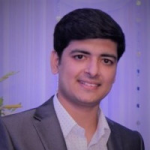 Neeraj Saini, B.Tech ECE- MS from MIT Media Lab, Cambridge, Invited by University of Pennsylvania to participate in Fall’s Penn Apps event, Invited to showcase his R&D work at the HUB week, World finalists for the Tomorrow challenge 2016, Represented India in the global finals of MIT’s Global Start-ups workshop (MIT GSW) Business Plan, Winner of Microsoft Imagine Cup National finals 2015, represented Country at the International finals held at Seattle ,Winner of Yahoo Accenture Innovation Jockeys 4. 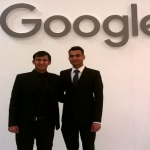 Vansh Mudgil, Tarun& Abhijeet, B.Tech ME, Team “TECHSPIRIT” shortlistedas semifinalists for Valeo Innovation Challenge 2017 organised by Valeo Ltd Paris and recieved the grant of €5,000 to develop the prototype. Dhruv Dangi, B.Tech CSE – Yureka “Apps for YU Challenge” An online competition Yureka “ Apps for YU Challenge” organized by YU from Micromax, inviting Indian developers of all age groups to make apps for Android. He developed and submitted his app named ‘Transparecy’ and has won the first prize of Rs 1,00,000 /- ( One Lakh ) and a Cell phone YU Yureka. The team ‘Reverberuns’ of MRU made a compact and small formula vehicle is all set to participate in Supra 2017. As many as 125 teams participated in the event being organised at Buddh International Circuit. Ms. Rashmi, BSc. (Hons.) won 1st prize in Relay Race, 1st prize in 100m race, at University Level, 2019. Ms.Rashmi, BSc. (Hons.) won 1st prize in Open District and State Badminton Championship,KHEL MAHAKUMBH CHAMPIONSHIP, 2019. The students of M.Sc. Mathematics, under the mentorship of Dr. Ruchi Gupta attended an International Conference on Modeling Optimization and Computing for Engineering Problems from 12-14 October 2018 at IIT , Roorkee. Ms Chhavi Baliyan, B.Sc. (Hons.) student, attended a 4-week Summer Training Program at University of Kelaniya, Sri Lanka, 2017. Mr. Rizvan, M.Sc. Mathematics student,presented a research paper on “MHD Viscous Viscoelastic Fluid through Magnetic Field” in an International Conference on Mathematics and Applications held from 26th -28th April 2017, at Ramjas College, University of Delhi. Ms. Sakshi, BSc. (Hons.) won 1st prize in GRAFITTI Competition at University Level held on 1st& 2nd February,2017. A team of students of B.Sc. (Hons.) won 3rd prize in SLOGAN WRITING competition at TRANSCENDENCE on 28th February, 2017. Ms. Nikita Gulati, M.Sc. Mathematics, presented a research paper on “Literature Review of Transportation Problems” in the International Conference on Machine Learning, Big Data, Cloud and Parallel Computing held from 14th -16th February 2019 at Faridabad. Gaurav Kalra, 2017, BBA (Entrepreneurship & Family Business) startup selected for funding by DST, Government of India (2D/3D Online website for ladies apparel). 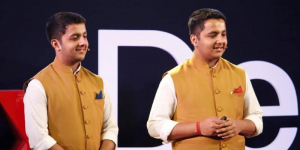 Aman Nischal, BBA (EFB) and Vansh Mittal, BBA (EFB) successfully launched a start-up “Coatingvala” and have received funding of Rs 2,50,000 under Department of Science and Technology (DST). Parul Taneja, B.Tech CSE 2nd Year, selected as IEEE Women in Engineering (WIE) Coordinator in IEEE Delhi Section SSN Council 2018-2019. Neeraj Saini(2013-17) completed his MS from MIT Media Lab, Cambridge. 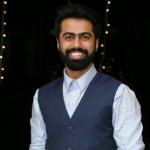 He is the co-founder and hardware researcher at Eyeluminati. Tushar Chugh & Mohd. Adil (2007 – 2011) bagged the Microsoft Imagine Cup 2010. 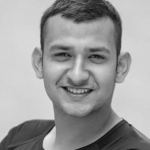 Neeraj Saini (2012-2016) bagged Microsoft Imagine Cup, 2015 at Seattle USA.